FEniCS was started in 2003 as an umbrella for open-source software components with the goal of automated solution of Partial Differential Equations based on the mathematical structure of the Finite Element Method (FEM). 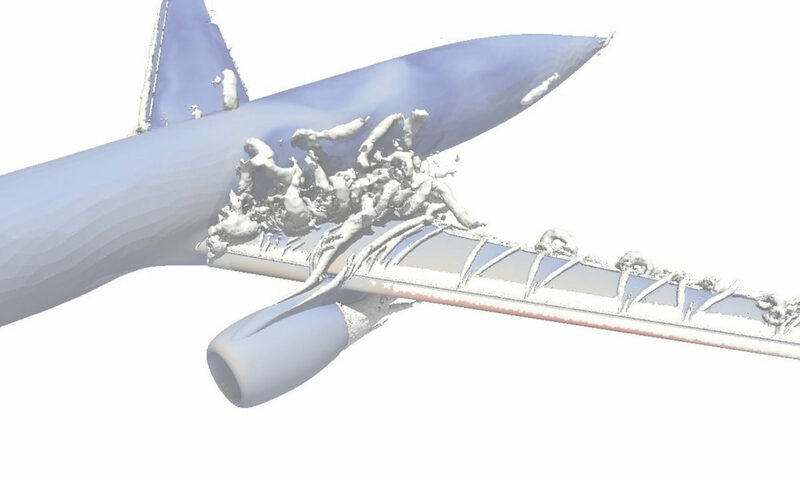 FEniCS-HPC is the collection of FEniCS components around DOLFIN-HPC, a branch of DOLFIN with the focus of strong parallel scalability and portability on supercomputers, and Unicorn, the Unified Continuum solver for continuum modeling based on the Direct FEM Simulation (DFS) methodology described below, with breakthrough applications in parameter-free adaptive prediction of turbulent flow and fluid-structure interaction. The FEniCS-HPC components are developed in our Bitbucket Git repositories. The incompressible Navier-Stokes Equations (NSE) are discretized directly, without applying any filter. Thus, the method does not approximate any Large Eddy Simulation (LES) filtered solution, but is instead an approximation of a weak solution, satisfying the weak form of the NSE. For this method, we have a posteriori error estimates of quantities of interest with respect to a weak solution, which form the basis for our adaptive mesh refinement algorithm. The a posteriori error estimates are based on the solution of an associated adjoint problem with a goal quantity (such as a drag coefficient) as data. 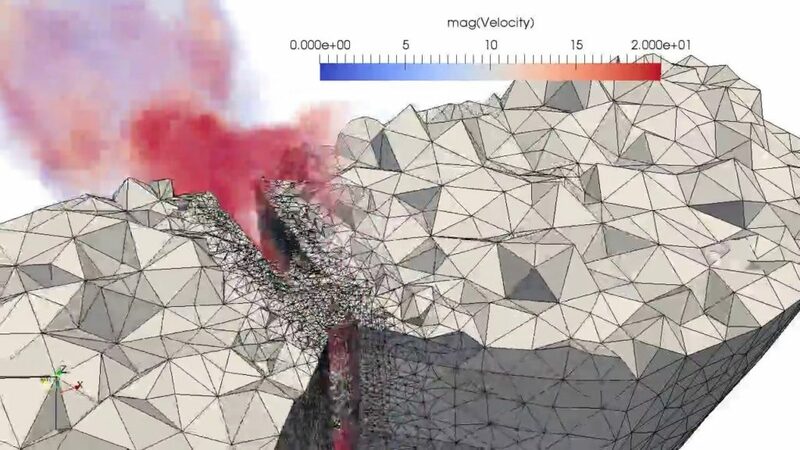 We model turbulent boundary layers by a slip boundary condition which is a good approximation for small skin friction stress, which gives enormous savings in computational cost by not having to resolve a very thin boundary layer. Video Tutorial on Open Source Unicorn/FEniCS-HPC in MSO4SC with web source code editing! 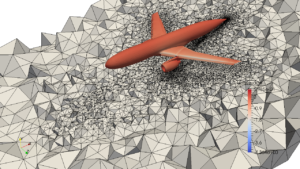 Our chapter “Time-resolved Adaptive Direct FEM Simulation of High-lift Aircraft Configurations” has been accapted for publication in the Springer Brief “Numerical simulation of the aerodynamics of high-lift configurations” connected to the HiLiftPW-3 workshop. For questions or project ideas, please email the FEniCS-HPC development team at: dev@fenics-hpc.org . The website is maintained by Johan Jansson (jjan@kth.se) and Frida Svelander (svel@kth.se). All simulation images have been created by Johan Jansson.